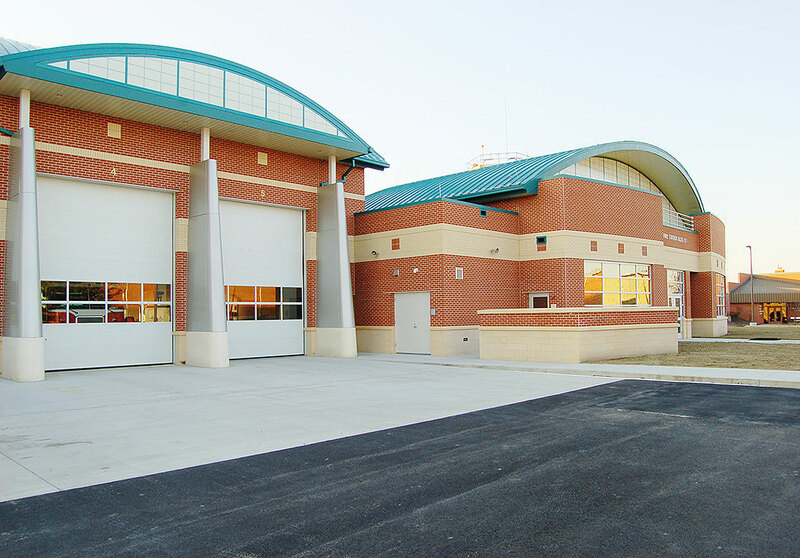 Rickenbacker ANG Fire Station Roof Replacement - PRIME AE Group, Inc.
PRIME was engaged to provide field investigation, assessment, report and construction documents for the Rickenbacker Air National Guard Base Fire Station. The PVC roofing system at this facility is more than 20 years old, has been constantly under repair, and had ponding issues at various locations. As part of the investigation, 13 roof core samples were taken and moisture scans were completed. After analysis of the samples, PRIME recommended a complete roof system removal down to the structural deck. PRIME provided bidding and construction administration which included assistance with permit acquisition, submission of design documents, advertisement and bidding for construction as well as submittal review and field observation services. The improvements will provide a new roof system with a 20-year warranty, bring the facility’s roofing system up to code and current standards, and will improve the overall environment for National Guard Soldiers and employees.